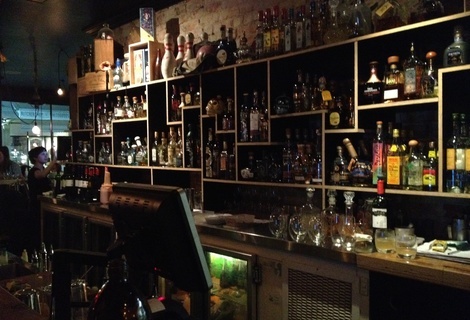 Rustic Mexican Bar/Restaurant - great atmosphere and food. Muy Bueno! 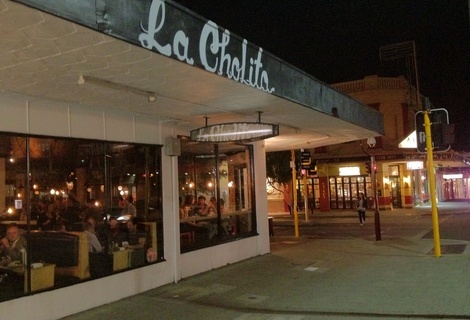 La Cholita was reviewed on Thursday 6th September 2012 19:34 by Richard. A few years back there were only a handful of Mexican restaurants/bars in Perth, good old Panchos in Vic Park and Santa Fe in Subiaco come to mind. Now it seems as if they’re popping up in just about every suburb, either in the form of Mexican themed small bars (El Publico, That Little Mexican Place) as well as chain restaurants (Mad Mex, Salsas etc.). 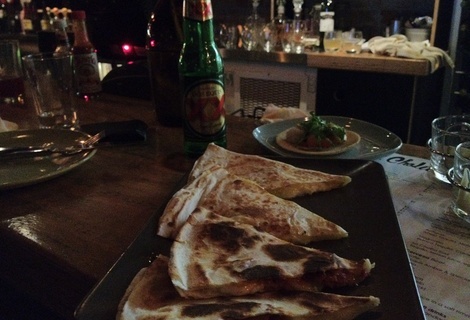 Since we were in the area (near enough anyway) and I had a hankering for some good Mexican food, I thought it’d be a good idea to try out of Perth’s ‘new’ Mexican joints, La Cholita in Northbridge. We got there just after 7:30pm and the place was absolutely heaving, I thought there was no way we were going to get a table, but we went in any way to try our luck. We were told that there’d be a short wait for a table and in the mean time we could sit in their ‘waiting area’ and order drinks and entrees. So we sat down, ordered a few cervezas and got the chicken tostadas for entrees. The decor is amazing, old industrial style lights hang from the ceiling, there are big Perspex inserts in the floor, allowing you to see the cellar below and the Mexican music was pumping. We were only in the waiting area for 10 minutes before we got shown to our ‘table’ (it was actually two spots along the bar). No complaints though, the closer to the bar the better I say. Service was pretty good, nothing to write home about, but friendly enough and considering how busy it was the wait/bar staff did a fairly decent job of keeping up with everyone’s orders. 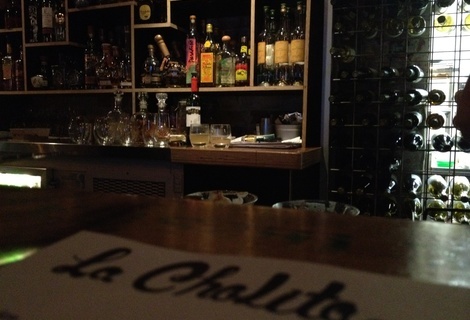 So far I’d have to say this is my favourite Mexican joint in Perth, the next time you feel like a good Mexican meal and Tequila or sixty, put down the Old El Paso taco kit and head over to La Cholita, you won’t regret it. 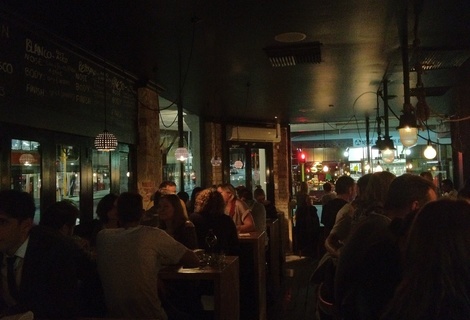 7/10Mechanics' Institute in Northbridge, WA (76m away)Great addition to Northbridge's small bar collection - reasonably priced with a good atmosphere.